Five gymnasts between 13 and 15 years old have been named to the 2017 Island Games team, with Max Blakeney, Chantae Wilson, Anna Francoeur, Taj Lowery, and Gianna Webbe all set to represent Bermuda. “In March 2017, the Bermuda Gymnastics Association, in its capacity as the National Governing Body of Gymnastics [BGA] ran its Island Games trials with international judges to determine the individuals who will make up the 2017 Gymnastics Island Games Team,” the BGA said. “There were more than a dozen athletes who were training and hoping to be ready in time for tryouts in March. Five athletes between 13 and 15 years old were named to the team after judges confirmed that they had achieved the International Standards required. “This will be the first each of these young athletes will compete at an official international meet for Bermuda. 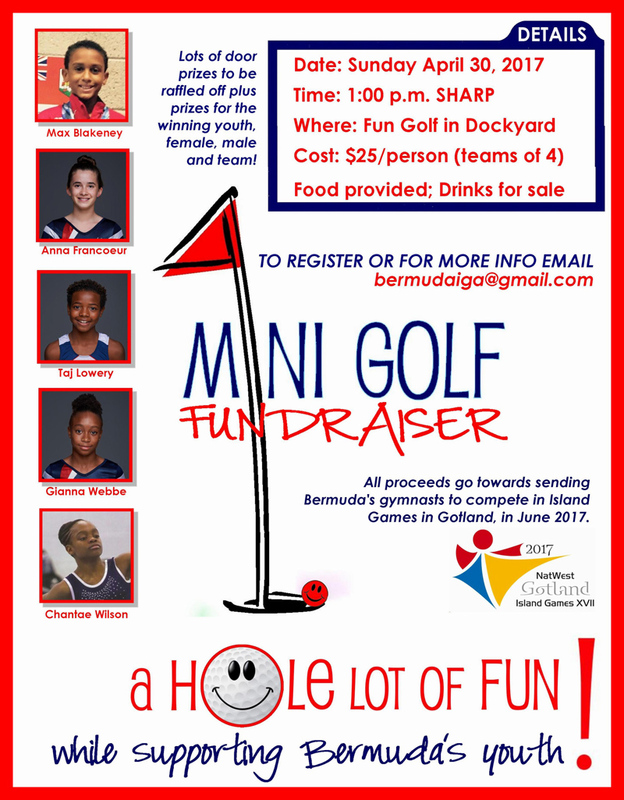 The Nat West Island Games is a great introductory event that will help prepare Bermuda’s most talented gymnasts for upcoming games supported by the Bermuda Olympic Association, Pan American Gymnastics Union and International Federation of Gymnastics [FIG], which all promote and work to enhance athletic development in the sport of gymnastics. “The BGA is excited for the future, as the number of those interested in participating in gymnastics continues to grow. For the first-time residents of Bermuda have access to gymnastics right across the Island and these youth athletes [of all ages and abilities] are taking advantage of the fundamental principles of gymnastics that support excellence in all types of athletics.